I’ve become a little obsessed lately with spiral-bound cooking, which is cooking from the self-published cookbooks that every self-respecting Junior League and Ladies’ Circle in the South used to use as their go-to fundraising technique. I’ve been collecting them at garage sales and in used bookstores and having a blast reading recipes where Cool Whip is a respected ingredient and the recipe for Pineapple Flambe has the following hint: “Alcohol must be allowed to get hot before it will flame.” I’m thinking Pineapple Flambe is the perfect time for me to finally try out Periscope, so look for that. Today, I’m combining my new obsession with an old one: all things apple. 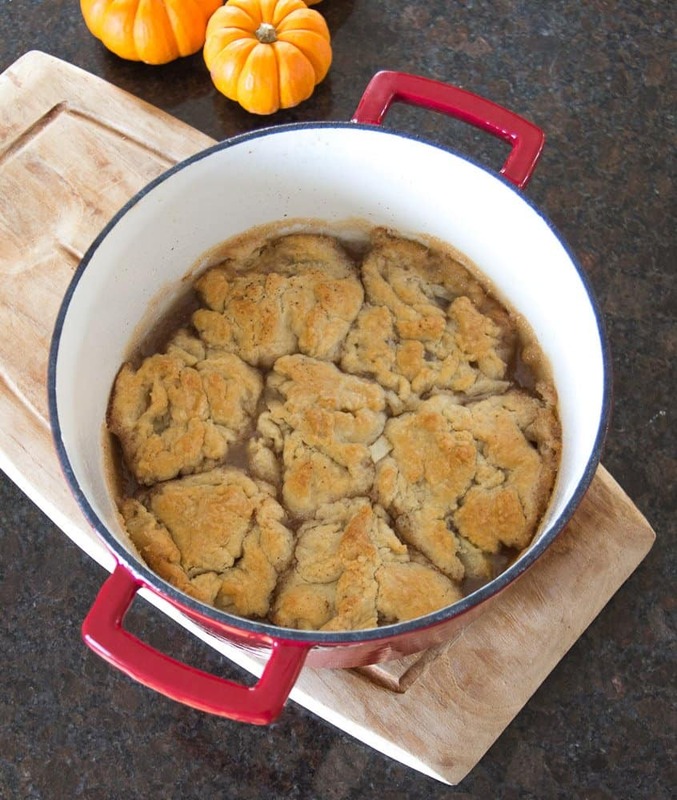 We’re making Apple Dumplings, adapted from a recipe in Tennessee Homecoming Cookbook. This book is not literally spiral-bound. 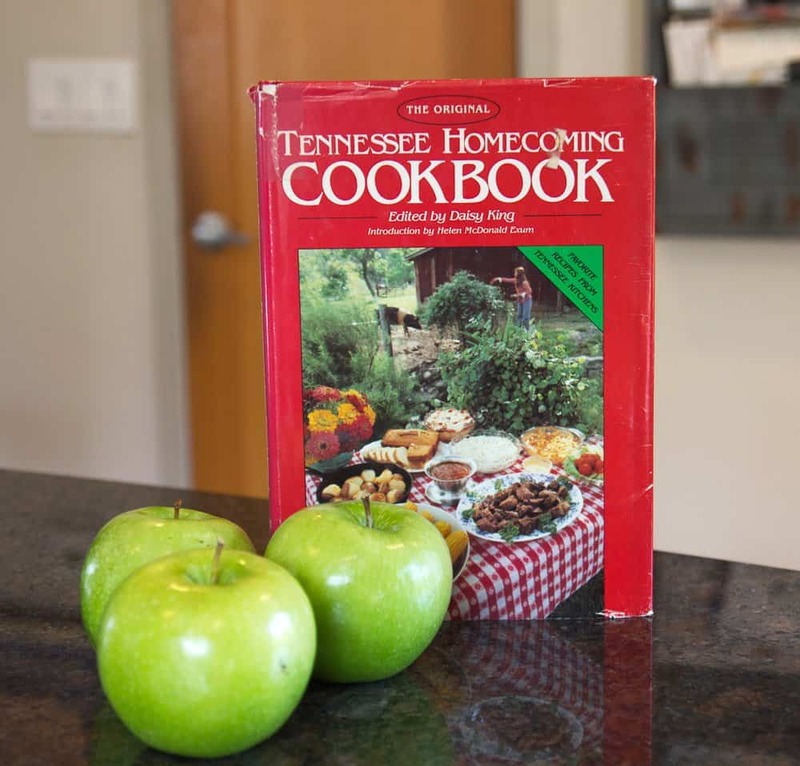 It’s more of a meta spiral-bound, commissioned in 1986 by the Governor at the time, Lamar Alexander (now Senator Lamar Alexander), to celebrate all of the good homespun folk of Tennessee and their good old-fashioned cooking. I found this cookbook among my husband’s belongings when we first moved in together. Starry-eyed with love, I assumed this cookbook was a treasured family heirloom he carried with him to remind him of the good Southern cooking at his mother’s Tennessee home place. I believed this until I asked him about how he got the book while writing this post so I could include the sure-to-be sentimental story in with the recipe. “Oh,” he said. “I bought it at a used bookstore a few years ago. I guess I was going to give it as a Christmas present and then never did.” What a softie. 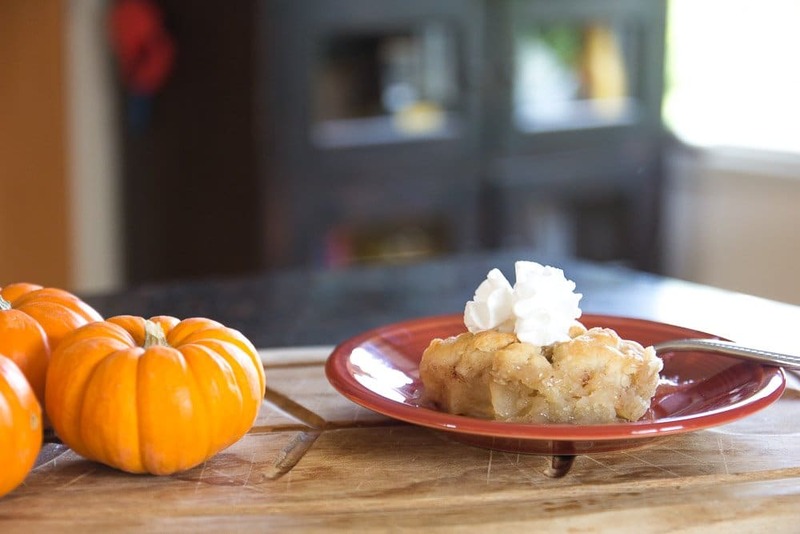 I have traced this recipe to the early 1800’s in my my family here in Middle Tennessee. It still tastes just like the ones my grandmother used to make. It tastes like the ones I used to have as a child too. I think you’ll really enjoy them. 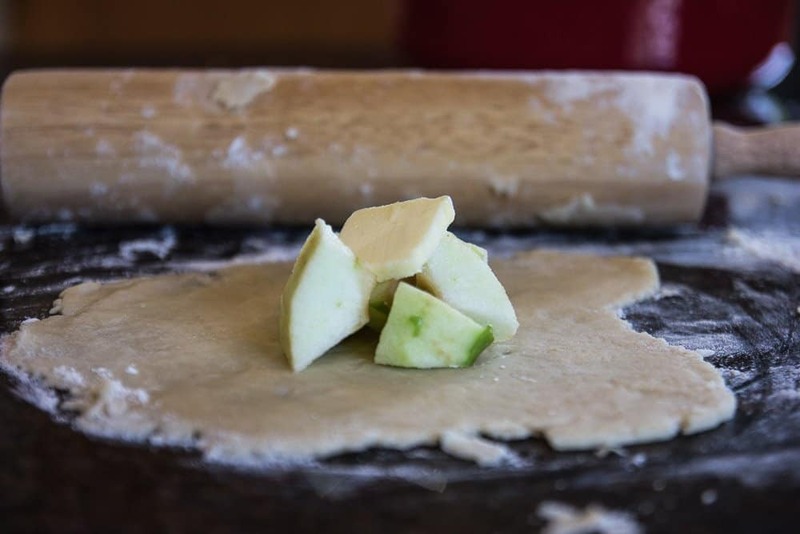 Add a pat of butter to your dumpling bundle to make your apples moist and yummy. You can also add a bit of sugar and other spices. I guess I should know what this means.. but srsly I’ve NEVER had Apple Dumplings!? WHAT? They’re basically like tiny apple pies but there’s a higher crust to filling ratio and because the syrup goes on the outside, they’re very sweet and sticky. So, I guess they’re like apple pies with the same ingredients in different order! They’re very yummy though. Pinned it! Sounds so good and is one of my favorites! Let me know how it turns out! I have some leftover apples so I’m going to make a different version tonight from The Pioneer Woman that uses Mountain Dew so I can compare it to the more traditional version.